The Jewish Community Council of Victoria’s communal diary and directory provides a snapshot of the Victorian Jewish Community. It covers the gamut of Victorian Jewish life, literally from A to Z, locally and in its representation of Israel, and encapsulates and reflects the breadth and diversity of our community: religiously, culturally, and educationally, in sport, in welfare, in support networks and many other areas. The Jewish Community Council of Victoria (JCCV) is the roof body of Victorian Jewry, Australia's largest and most vibrant Jewish community. 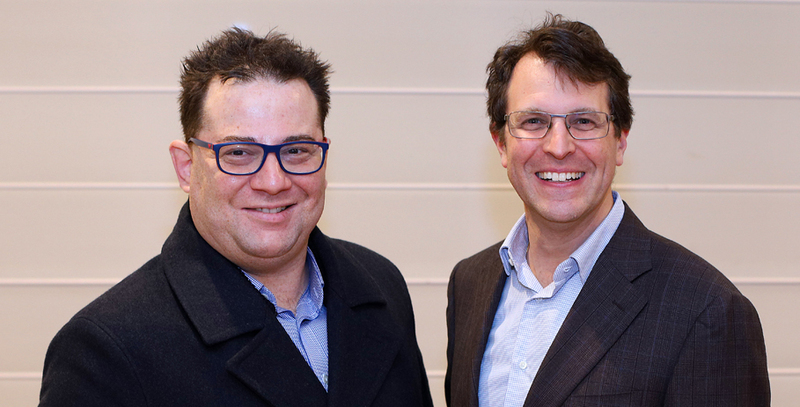 It provides leadership and a voice for Victorian Jewry's 65,000 members. We speak on behalf of Victorian Jewry on all sorts of issues affecting their status, welfare and interests and represent our community to the wider Victorian community, the government, the media, police, NGO's, and other faiths. This vital link needs to be not only maintained but enhanced. We seek to improve the communication between us and the Victorian Government, Government Instrumentalities, NGO's, Victoria Police, media and the wider Victorian community including many of its diverse religious and cultural groups. We hold briefing sessions, provide valuable information about our community as well as being the first point of reference for information about the Jewish Community. We also provide a very valuable bridge between many of our own community organisations. The JCCV is at the forefront of our community's development and wellbeing in the areas of social justice, multicultural and interfaith activities, education, security, leadership development, child protection, tackling anti-semitism and racism and a plethora of other activities. Together with our website, on-line communal calendar and Facebook page, this diary and directory provide an insight into the activities of the JCCV and our community. As you browse through it, you can see what the Victorian Jewish community has to offer and if you want to know more or want some general advice or assistance, you can contact the JCCV. I encourage you to use this directory as a daily information and working tool and to support our many sponsors and advertisers whose backing we acknowledge with gratitude. Offering support and unity for all affiliate organisations in the thriving Jewish community of Victoria. Establishing a strong and effective voice for the Jewish community of Victoria. Help us continue to build a better and safer Victoria for all Victorian Jews. Jewish Community Professional Scholarship – $7,000. The Foundation is offering up to $7,000 for existing or potential community professionals to further their career, skills and interests in service to the Victorian Jewish community. To apply, send your CV and background, proposed course of study, training, or continuing education program to the Trustees for consideration. Guidelines to assist your application are listed below. Applicants should provide the names of 2 referees willing to provide confidential reports of your professional standing. For over 80 years the JCCV has been the roof body speaking and acting on behalf of the Victorian Jewish Community on a wide range of issues. We represent a variety of religious, educational, political, cultural and social associations operating in Victoria and are recognised both inside and outside the Jewish community. We also engage effectively with the Victorian and Federal Governments, Victoria Police, media and other religious and ethnic groups. Our Vision: A Victoria in which members of the Jewish community live as Jews in peace and security, participating fully and without prejudice in all aspects of society. Our Mission: To be the recognised and responsible peak body and voice of Victorian Jewry through advocacy, representation, networking and collaboration, both within the Jewish and wider communities. To be inclusive and representative of the diversity of the Jewish community. To be independent and objective. To support Jewish continuity and the Jewish way of life. Commitment to support Israel and its core values. We’re the peak body of the largest Jewish community in Australia. The voice of the Victorian Jewish community. Representing 60 000 people and over 50 community organisations. Your concerns. Are our concerns. Your welfare and security. Our priority.